The area surrounding the headwaters of the Ohio was inhabited primarily by the indigenous people of Shawnee, Mohawks, Oneidas, Onondagas, Cayugas, Senecas and Tuscarawas. The first Europeans were led in to the Ohio Valley by the French explorer/trader Robert de La Salle in a 1669 expedition down the Allegheny River from Lake Ontario and Quebec. This was followed by European pioneers, primarily Dutch, in the early 18th century. Michael Bezallion is reported to be the first to describe the forks of the Ohio in a manuscript in 1717. In that same year European traders began to establish posts and settlements along the banks of the Ohio River. In 1749, French soldiers led by Captain Celeron launched a series of expeditions from Quebec to the Ohio headwaters in hopes of uniting Canada with French Louisiana via the network of rivers. 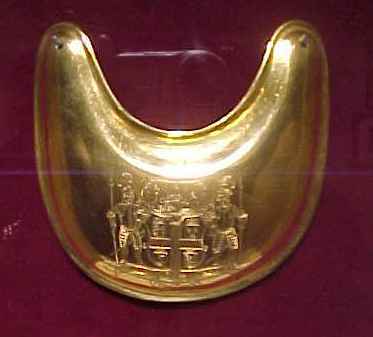 They claimed possession of the territory by deposited leaden plates at different places along the Allegheny and Ohio Rivers. In the early 1750s, the French commenced construction of a line of forts, starting with Fort Presque Isle on Lake Erie, followed by Fort Le Boeuf, about 15 miles inland near present-day Waterford, and Fort Machault, on the Allegheny River in Venango County in present-day Franklin. In 1753, Virginia Governor Dinwiddie, to an attempt halt the French expansion, sent George Washington to deliver a letter to the French commander French at Fort Le Boeuf. October 31, 1753 - Sir, The lands upon the River Ohio, in the western parts of the Colony of Virginia, are so notoriously known to be the property of the Crown of Great Britain that it is a matter of equal concern and surprise to me, to hear that a body of French forces are erecting fortresses and making settlements upon that river, within his Majesty's dominions. The many and repeated complaints I have received of these acts of hostility lay me under the necessity of sending, in the name of the King, my master, the bearer hereof, George Washington, Esq., one of the Adjutants-General of the forces of this dominion, to complain to you of the encroachments thus made, and of the injuries done to the subjects of Great Britain, in violation of the law of nations, and the treaties now subsisting between the two Crowns. If these facts be true, and you think fit to justify your proceedings, I must desire you to acquaint me by whose authority and instructions you have lately marched from Canada with an armed force, and invaded the King of Great Britain's territories, in the manner complained of; that according to the purport and resolution of your answer I may act agreeably to the commission I am honored with from the King, my master. However, sir, in obedience to my instructions, it becomes my duty to require your peaceable departure; and that you would forbear prosecuting a purpose so interruptive of the harmony and good understanding, which his Majesty is desirous to continue and cultivate with the most Christian King. 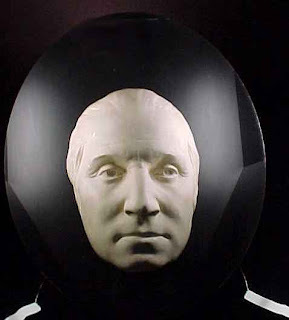 I flatter myself that you will be pleased to receive Major Washington with the evidences of courtesy and politeness which are natural to your nation, and I shall be at the height of satisfaction if you send him back with a reply conforming to my wishes for a durable peace between us. The French Commander’s formal letter to the Governor of Virginia was delivered by Washington in Williamsburg on January 16, 1754 and it was equally as firm. TRANSLATION of a Letter from Mr. Legardeur de St. Piere, a principal French Officer, in Answer to the Governor’s Letter. AS I have the Honour of commanding here in Chief, Mr. Washington delivered me the Letter which you writ to the Commandant of the French Troops. I should have been glad that you had given him Orders, or that he had been inclined to proceed to Canada, to see our General, to whom it better belongs than to me to set forth the Evidence and Reality of the Rights of the King, my Master, upon the Lands situated along the River Ohio, and to contest the Pretensions of the King of Great-Britain thereto. I shall transmit your Letter to the Marquiss Duguisne ;his Answer will be a Law to me, and if he shall order me to communicate it to you, Sir, you may be assured I shall not fail to dispatch it to you forthwith. As to the Summons you send me to retire, I do not think myself obliged to obey it ; whatever may be your Instructions, I am here by Virtue of the Orders of my General ; and I intreat you, Sir, not to doubt one Moment, but that I am determin’d to conform myself to them with all the Exactness and Resolution which can be expected from the best Officer. I don’t know that in the Progress of this Campaign any Thing has passed which can be reputed an Act of Hostility, or that is contrary to the Treaties which subsist between the two Crowns, the Continuation whereof as much interests, and is as pleasing to us, as the English. Had you been pleased, Sir, to have descended to particularize the Facts which occasioned your Complaint, I should have had the Honour of answering you in the fullest, and, I am persuaded, most satisfactory Manner. When Washington arrived back in Williamsburg on January 16, 1754, Governor Dinwiddie immediately asked him to prepare a written report for the House of Burgesses. Dinwiddie then had Washington’s report printed, and it became very popular reading. The Virginia legislature was so pleased with his mission and his report that they voted him a £50 reward. The Journal of Major George Washington was reprinted in various colonial newspapers as far away as Boston, and a British edition was issued in London later that same year, for which Washington sent materials for the preparation of a map. The arduous expedition and detailed diary led to Washington’s promotion to Colonel and an outfitting of men to secure the three rivers junction for Virginia, King and Country. Governor Dinwiddie also commissioned captain, William Trent, who was an English fur trader that established a successful trading post where the Allegheny and Monongahela rivers come together to form the Ohio River in the 1740s. 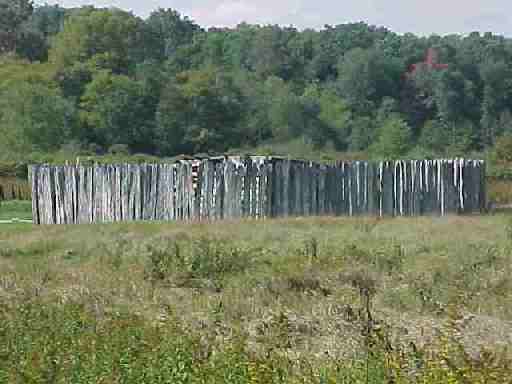 Trent, in 1754, was assigned to take the advance company from Colonel Washington’s regiment and establish a fort at the Ohio source. On February 17, 1754, Trent and his Virginian militia commenced work on Fort Prince George on the Ohio River Point. On April 17th, 1754, before the fort was complete, a French contingent of about 500 men, led by Monsieur Contrecceur, threatened to engage the small company of Virginians and demanded their surrender. Resistance was impossible and the surrender was made to Contrecoeur, who immediately recommenced construction on the point naming the new Fort, Duquesne, in honor of the Governor of Canada. It was not until May, at Jumonville Glen, that Colonel Washington entered the conflict by intercepting a small French encampment that was detached from Fort Duquesne to scout for British resistance. Washington, instead of parlaying, fired the first shot, and captured the detachments. Many historians argue that this act ignited the French and Indian War in America. 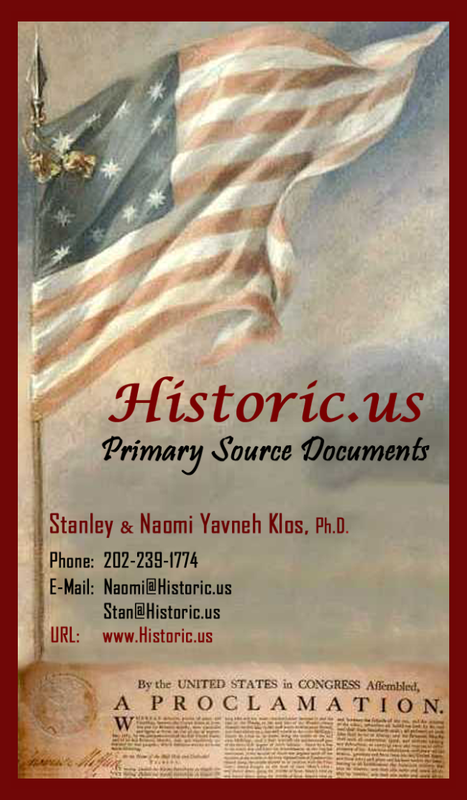 Young George Washington’s courage and military ability were to be tested several more times in the course of the War. After his altercation at Jumonville Glen Washington retreated east to Great Meadows and hastily constructed a fort, named Necessity, to prepare for the imminent French retaliation from Fort Duquesne. The French arrived at Great Meadows in late June and by July 3rd Washington had no other recourse but to accept the terms of surrender permitting him and the garrison to "retire into his own country." Shortage of supplies, ammunition, lack of men and a poorly designed fort had led to the first defeat of Washington's career despite a valiant defense. "After taking Fort Duquesne," said the general, "I am to proceed to Niagara; and, having taken that, to Frontenac if the season will allow time, and I suppose it will, for Duquesne can hardly detain me above three or four days; and then I can see nothing that can obstruct my march to Niagara." The expedition made slow progress, but at last drew near the fort, and crossed the Monongahela where General Braddock and his 2400 British regulars were surprised by a force of 900 French and Native Americans. Most of Braddock’s troops panicked and over 1200 men were killed or seriously wounded. Of Braddock's staff, only Colonel Washington was alive, relatively well, and managed to lead the surviving troops to safety. Braddock was mortally shot through the arm and into his chest. He died during the British retreat to eastern Virginia. General Braddock was buried in the middle of the road near Fort Necessity to avoid his body's detection by the Indians. In the autumn of 1758 British Brigadier General John Forbes was placed in command of the expedition against Fort Duquesne. The Forbes Campaign numbered 1,200 highlanders, 350 royal Americans, and about 5,000 provincials, including about 1,000 Virginians under the command of Colonel George Washington. The expedition took a new route through Western Pennsylvania that was uneventful except for Forbes taking ill and Washington almost being killed by friendly fire at Fort Ligonier. Passing the field where the bones of Braddock's men lay unburied, the expedition finally reached Fort, Duquesne on November 25th. The Fort had been blown up and abandoned by the French on the previous day. Washington's men took possession of the Point and the Virginia Colonel personally raised the British Flag over the Three Rivers thus ending his military campaign began 5 years earlier. Forbes renamed Fort Duquesne, Fort Pitt, in honor of William Pitt, who had planned the campaign. After concluding treaties with the Native American Tribes on the Ohio, Forbes and Washington returned to Philadelphia. Fort Pitt was built by General Stanwix and was considered a formidable fortification. Colonel Bouquet built the redoubt, now standing, in 1764. Fort Pitt remained a key fortification in the struggle for empire between Britain and France in Western Pennsylvania and the Northwest Territory. The following 18th and 19th Century Fort Pitt timeline is provided by the Fort Pitt Museum. February 1754 – British army Captain William Trent arrives at the Point and establishes Fort Prince George (more commonly known as “Trent’s Fort”), the first fort built at the Point. April 1754 – French troops travel down the Allegheny River and demand the British to leave Trent’s Fort peacefully. The French immediately begin constructing Fort Duquesne. July 1755 – British army General Edward Braddock is sent to capture Fort Duquesne, but is defeated at the Battle of the Monongahela. Braddock's defeat was a major setback for the British in the early stages of the French & Indian War. September 1758 – The French and their American Indian allies defeat an attacking British regiment, led by Major James Grant at the Battle of Fort Duquesne. November 1758 – Knowing they are outnumbered, the French set fire to Fort Duquesne before General Forbes and the British army capture the site. General Forbes and a young George Washington stand over the smoldering ruins of Fort Duquesne and name the site “Pittsburgh,” in honor of William Pitt. 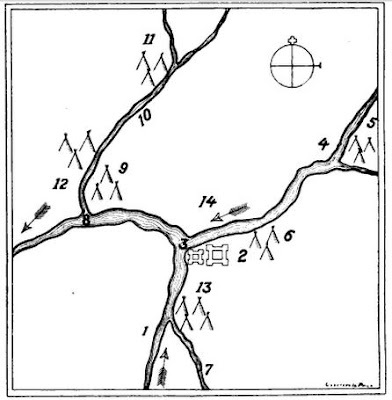 Fort Pittsburgh And Its Environs - January, 1759. Now Pittsburgh, With The Adjacent Country. 8. Ohio, or Allegheny River. 11. Kuskuskies, the Chief Town of the Six Nations. November 1758 – The British build Fort Mercer, a temporary fort designed to defend the Forks of the Ohio until a larger structure could be built. 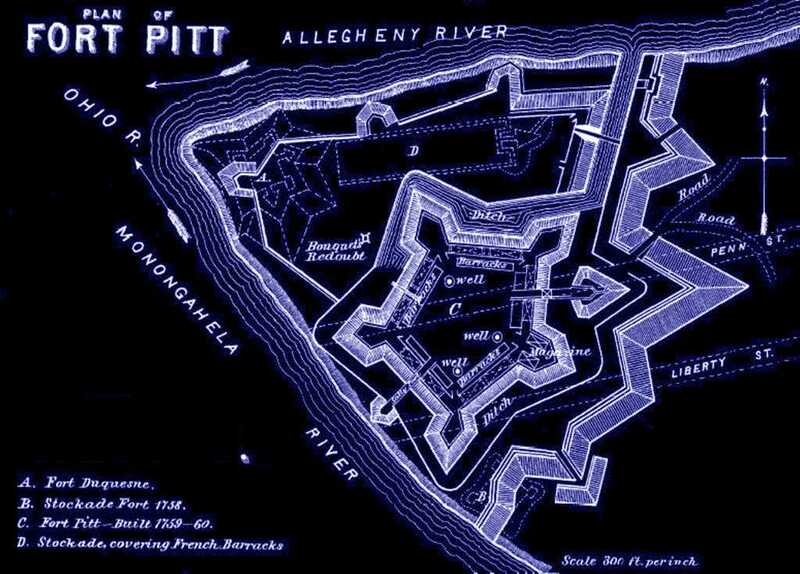 November 1759 – The British army begins constructing the most state-of-the-art fort in North America, naming it Fort Pitt. The new fort is built next to the site of Fort Mercer. 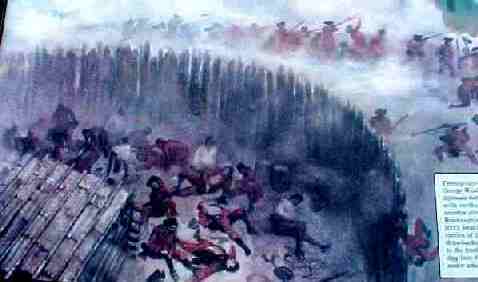 June 1763 – During Pontiac's Rebellion, an effort to drive the settlers out of the region, American Indians attack Fort Pitt, but find it too well-fortified to be overtaken. After two months, the siege was finally broken with Colonel Henry Bouquet’s victory at the Battle of Bushy Run. 1764 – A modest brick building, known as the Fort Pitt Block House, is erected hear Fort Pitt. The Block House, the oldest authenticated structure in Western Pennsylvania, is now operated by the Fort Pitt Society of the Daughters of the American Revolution. 1772 – The British army abandons Fort Pitt, letting it fall to private ownership. 1774 – As the colonies approach the Revolutionary War, British governor Lord Dunmore decides to reassert Virginia’s claim to the Forks of the Ohio, taking over the privately-owned Fort Pitt and naming it Fort Dunmore. 1777 – During the American Revolutionary War, the Continental Army uses Fort Pitt as its western headquarters, housing troops and supplies to defend the new United States. 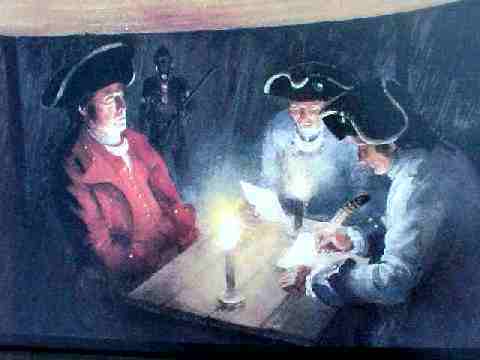 September 1778 – The first Peace Treaty between the American Indians and the United States is signed at Fort Pitt. 1792 – Fort Pitt is abandoned due to its deteriorating condition, and Fort Fayette is built in downtown Pittsburgh where Penn Avenue and Ninth Street now intersect. 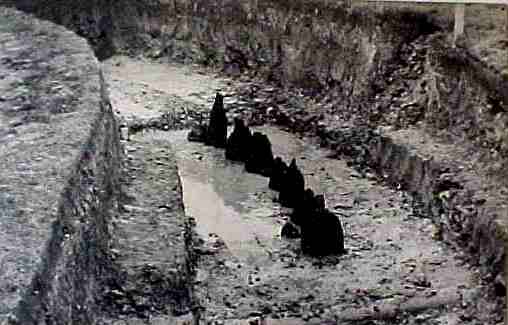 Dozens of Pittsburghers used remnants of Fort Pitt to construct their own homes.